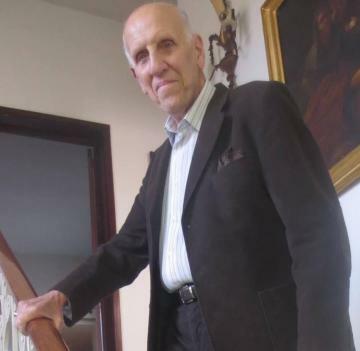 Former Nationalist MP and long-serving family doctor Lino Gauci Borda has died at Mater Dei Hospital, aged 82. Dr Gauci Borda served in the House from 1976 until 1994 when he resigned. Born in Sliema, Dr Gauci Borda lived most of his life in Fleur-de-Lys, a locality about whose history he later wrote a book. He graduated as a doctor in 1961 and served as a general practitioner. He stood for election as a PN candidate in 1971 and was elected for the first time in 1976. He also served on the Executive Committee of Commonwealth Parliamentary Association. Dr Gauci Borda is remembered by hundreds of car enthusiasts for his love of vintage cars. He was president of the Old Motors Club for 16 years and subsequently honorary president. He promoted the hobby and was instrumental in acquiring a property for the club in Mosta. Tributes poured in on Wednesday morning, with PN general secretary Clyde Puli and former PN deputy leader Beppe Fenech Adami describing him as ‘a true gentleman'. An official statement in his memory was also issued by the Nationalist Party. The Labour Party paid tribute to the long years he had served in parliament and the time he had spent serving the community as a doctor. He is survived by his wife Louise Ann Gauci and daughter Annabelle.